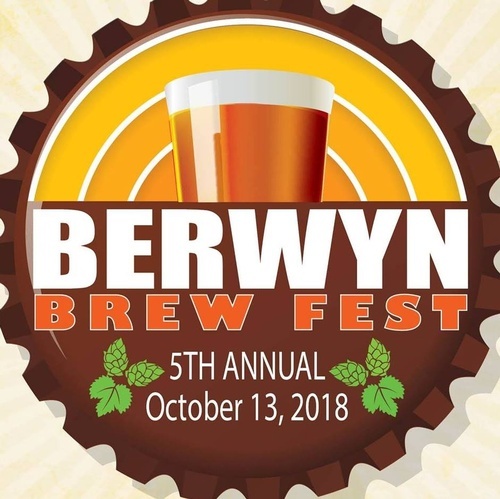 5th Annual Berwyn Brew Fest - Oct 13, 2018 - Why Berwyn? - Why Berwyn? The 5th Annual Berwyn Brew Fest will take place on Saturday, October 13, 2018 from 1:00pm to 5:00pm at Proksa Park. This distinctive gathering will feature over 40 unique beers from craft breweries around the country as well as live music and nosh from Berwyn’s best restaurants. Expand your palate while getting back to nature in Berwyn’s Proksa Park, situated just blocks from the Depot District. Experience American Craft Beer – Berwyn Style! Tickets available at berwynbrewfest.com. This event is 21 and over.